Our industry has experienced remarkable change during the past decade. We have had both economic upheaval and major technological changes. Change has become almost a daily phenomenon in motion imaging. Cinematographers and their filmmaker collaborators appreciate the rich look and response of working with film, but we have recently reached the point where film is becoming seriously challenged and in some ways surpassed by well-handled digital cameras. Part of this is due to continued improvements in digital camera response, including wider dynamic range, increased color bit depth, combined with true 4K (4096 x 2160) resolution. 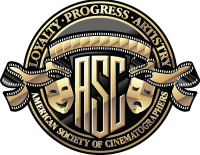 It is also in part due to very wide dynamic range and very wide color gamut workflows that utilize ACES (the Academy of Motion Picture Arts and Sciences’ Academy Color Encoding System), which enables rigorous interchange of images, including more effective utilization of on-set or near-set Look Management applications, and wide utilization of the ASC CDL (American Society of Cinematographers’ Color Decision List). In addition, there is an increased awareness of the critical role of properly calibrated monitoring. And part is due to improving industry practices. We are also exploring new image representations, including very high resolution, stereoscopic 3D presentation, and uses of higher frame rates.